Currently, there are signs in the global market that in the near future silver will be more lucrative asset than gold, experts said. Since the beginning of the year, Pro Aurum, one of the leading precious metal dealers in the world, has faced growing demand for silver. Currently, gold and silver prices are rising. Pro Aurum director Robert Hartmann underscored that one of the key reasons behind the growing demand for silver is a "high pricing ratio between gold and silver." "In comparison with gold and other precious metals, silver is highly undervalued," he was quoted as saying by Manager Magazin. Many analysts agree with Hartmann, the article read. Currently, the ratio between gold and silver prices is at a point which has usually been followed by significant historical changes. The gold to silver ratio can be calculated by simply dividing the gold price by the price of silver. Now, gold is $1,257 an ounce after a rally in prices. Silver is nearly $16 an ounce. Thus, the ratio is 1 to 78.6. Until recently, the gold to silver ratio had reached over 80, which earlier already happened in 1995, 2003 and 2008. However, each time it dropped below 80, as it is happening today. Moreover, consequently each time silver prices were climbing. "The gold-to-silver ratio just fell below 80, and the last three times that happened silver outperformed gold by 60 to 302 percentage points in the next two or three years," Bloomberg reported. 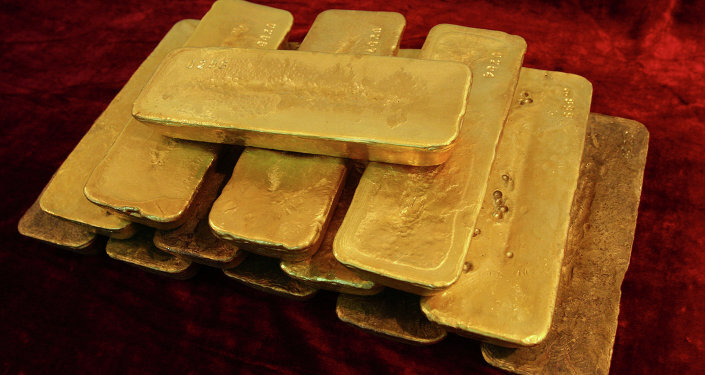 Between 1995 and 1998, gold prices lost 24 percent. After gold prices rose by 105 percent, silver climbed by 407 percent. This year, gold prices have been rebounding. After several years of falling, since January it has climbed by 15 percent. Silver has been rebounding too. Thus, taking into account the history of the gold to silver ratio, as well as its current ratio below 80, investors should keep in mind that in the near future silver as an asset might outperform gold, according to Manager Magazin. Experts also underscore the potential of silver. "I believe that now it’s time to convert some liquid assets to silver," Hartmann noted. Daniel Marburger from Coinvest agreed: "These are early signs of the possible increase in silver prices, like it has happened before." According to him, mints across the world like the Royal Canadian Mint, the US Mint, and the Perth Mint have been operating at full power to satisfy demand for silver coins. "Some products have been sold out. Many our customers see a great potential in silver in comparison to gold. They expect large profits from investing in silver," Marburger pointed out. Another argument in favor of silver is a rise in shares of silver producing companies, analyst Martin Siegel said. Since early-February, gold producers’ shares have not been in demand. 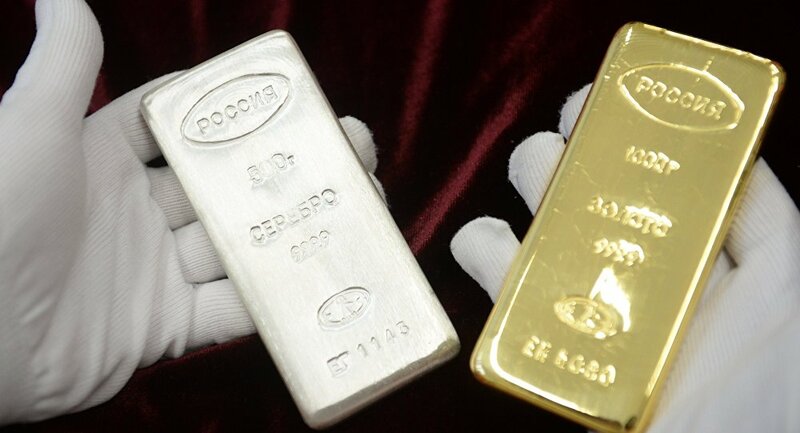 Can Russia's Big Gold Hedge Save the Ruble?